Mickey, Goofy, and Eurasia Toft are out to find Atlantis or die trying... and their path leads to the British seacoast, where--yaarrr!--there be pirates, pitfalls, creepy Count Zoox, and a new threat from the hideous Horde of the Violet Hare! Dive into a new thriller by fan favorite Andrea "Casty" Castellan--then stick around for two wild Pegleg Pete adventures from legendary Disney writer/artist Romano Scarpa! Collects IDW’s Mickey Mouse #13-15. 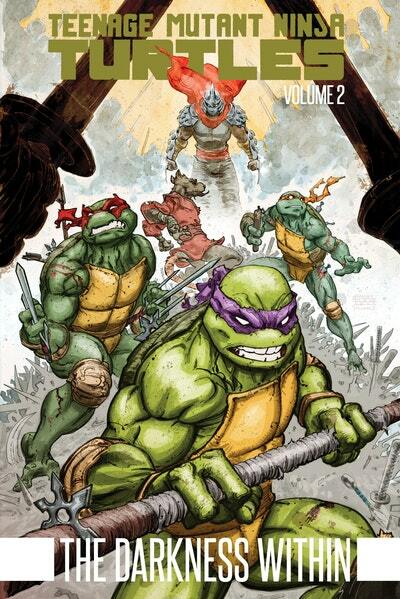 Love Teenage Mutant Ninja Turtles, Vol. 2 The Darkness Within? Subscribe to Read More to find out about similar books.